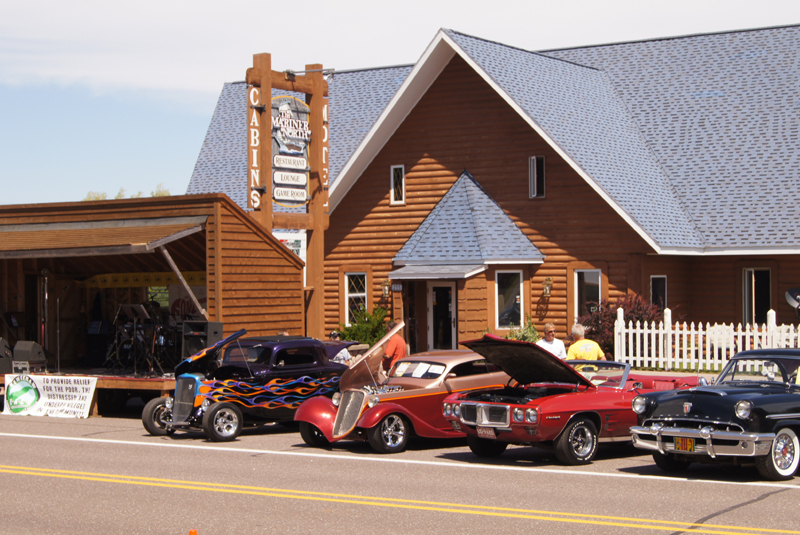 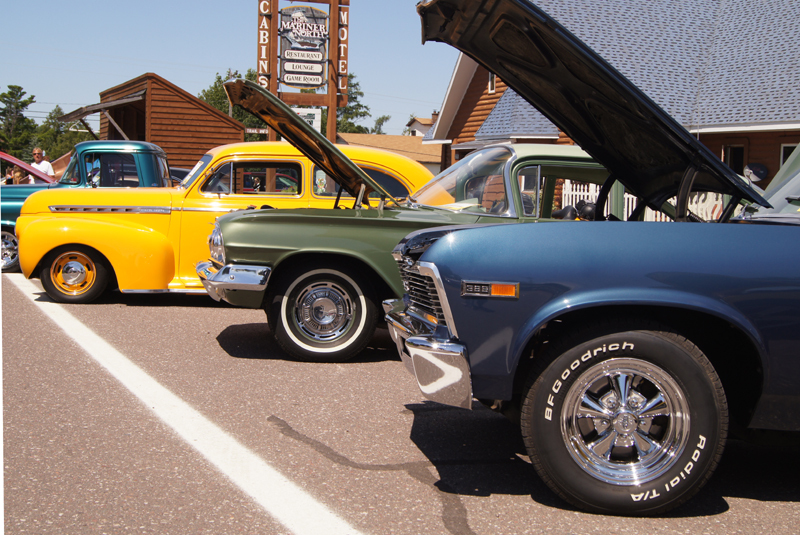 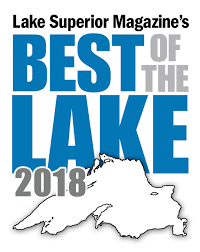 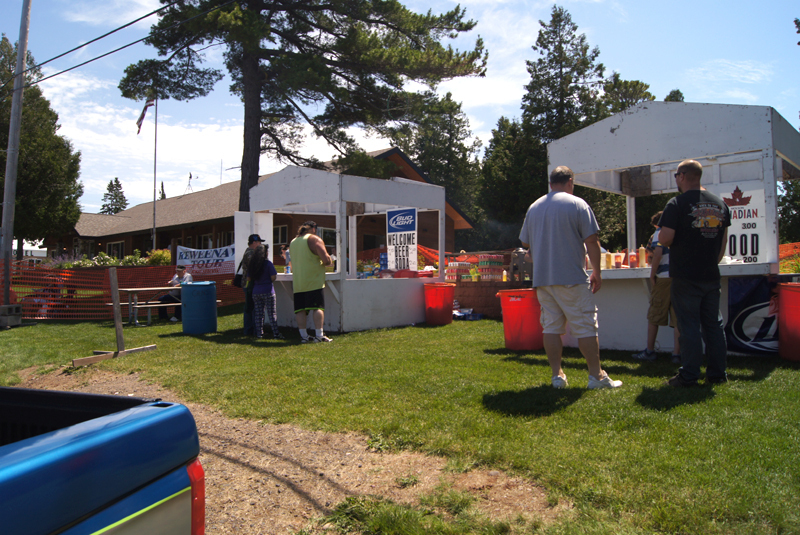 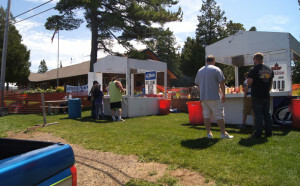 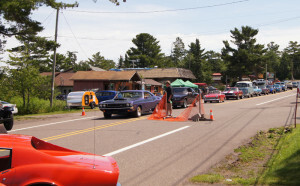 The End of the Road, Classic Car Show is an annual event held in the heart of Copper Harbor. 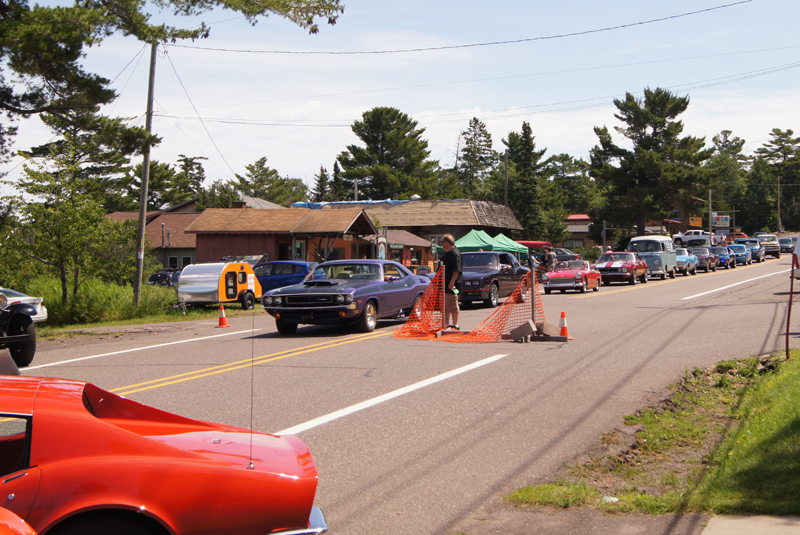 The main street is closed and beautiful antique and classic cars line it for all to see. The car show is and has always been a fundraiser for a local charitable organization. 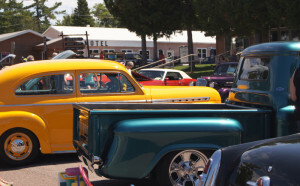 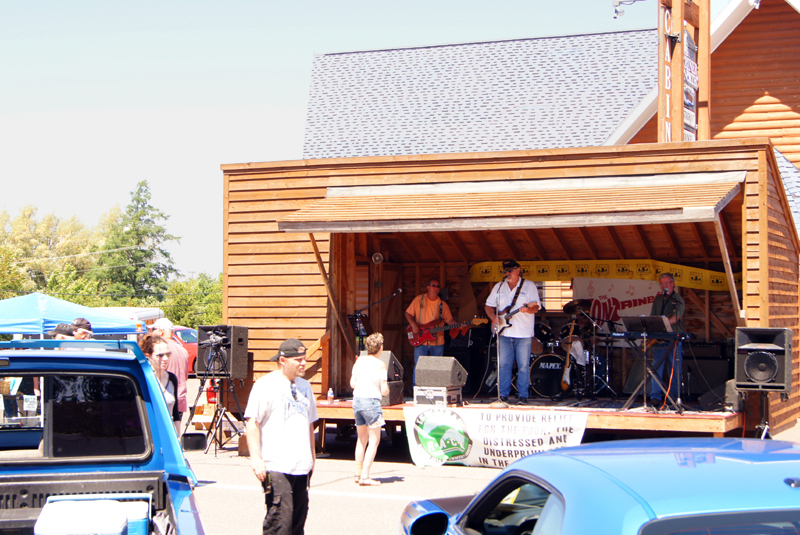 The show is a fun day with colorful cars, fun live music, and delicious grilled food, beer and pop. 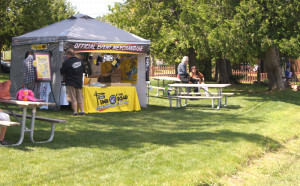 There are “Official Event” souvenirs available to take home with you. 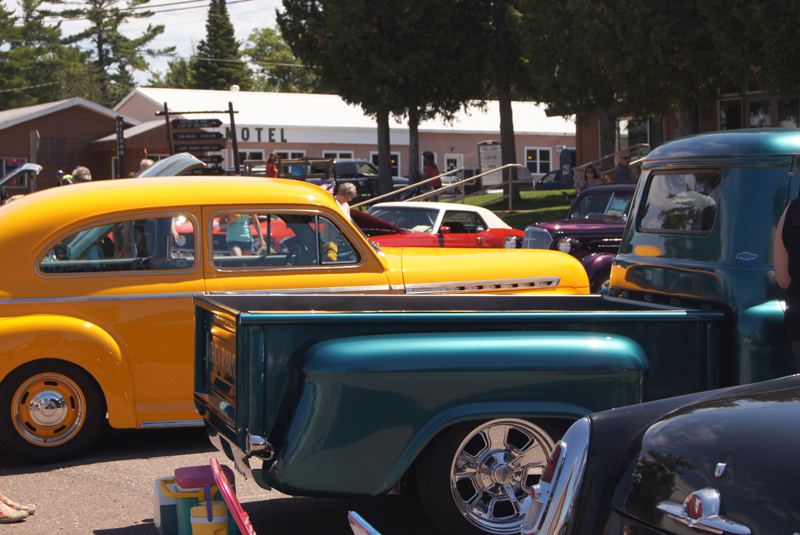 It’s exciting to watch all the cars come in like a parade and then parked 3 blocks long. 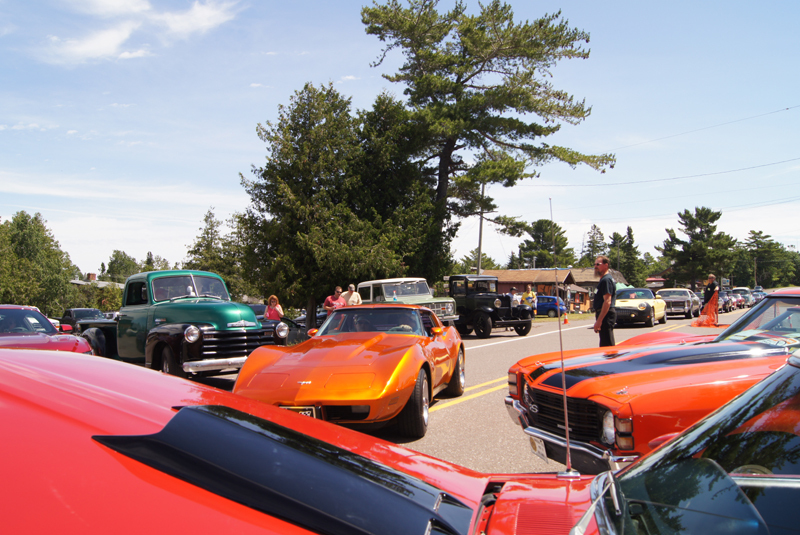 As you are viewing the cars, make sure you note your favorite for the people’s choice award. 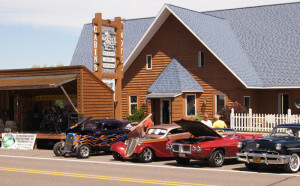 Come for the cars, stay for the fun! 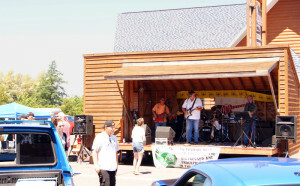 Each year there is great live music to top off the day.